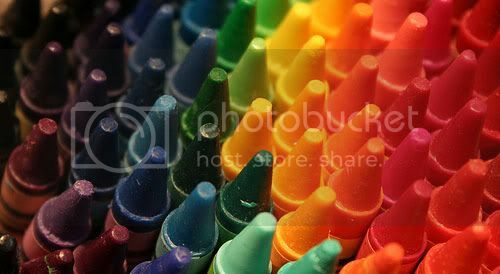 Crayon Color Fun Facts & Photo Inspiration. For the last 100 years or so kids have been exploring and creating worlds of color with Crayons. For a lot of us, our life long love affairs with color began with these wax sticks and a blank sheet of paper. 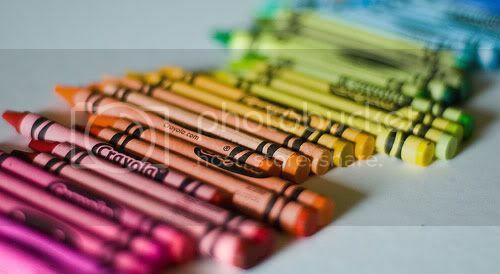 According to a Yale University study, the scent of Crayola crayons is among the 20 most recognizable to American adults. Coffee and peanut butter are 1 and 2. Here we go down crayon color memory lane with all 120 color names and hex codes, fun facts and photos. Crayola crayons currently come in 120 colors including 23 reds, 20 greens, 19 blues, 16 purples, 14 oranges, 11 browns, 8 yellows, 2 grays, 2 coppers, 2 blacks, 1 white, 1 gold and 1 silver. Although Crayola crayons come in 120 different colors, the labels are only made in 18, which cover the full color spectrum. 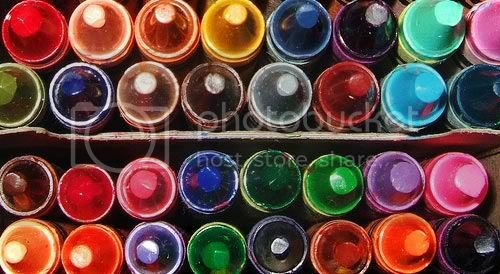 Nearly 3 billion crayons are made each year, an average of 12 million daily. That’s enough to circle the globe 6 times with color! Fun Facts & Photo Inspiration. The first box of Crayola crayons was sold in 1903 for a nickel and included the same colors available in the eight-count box today: red, blue, yellow, green, violet, orange, black and brown. In the last 98 years, more than 100 billion Crayola crayons have been made. 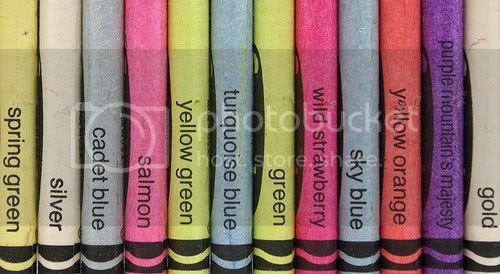 Most Crayola crayon color names are taken from the U.S. Commerce Department’s National Bureau of Standards book called “Color: Universal Language and Dictionary of Names.” Many crayon names are also borrowed from traditional artists’ paints. The average child in the United States will wear down 730 crayons by his 10th birthday (or 11.4 boxes of 64s). Kids, ages 2-8, spend an average of 28 minutes each day colouring. Combined, children in the US spend 6.3 billion hours colouring annually, almost 10,000 human lifetimes! Crayola crayon colour names rarely change. However, there are exceptions. In 1958, Prussian blue was changed to midnight blue in response to teacher recommendations that children could no longer relate to Prussian history. In 1962, the colour flesh was changed to peach recognizing that not everyone’s flesh is the same shade. 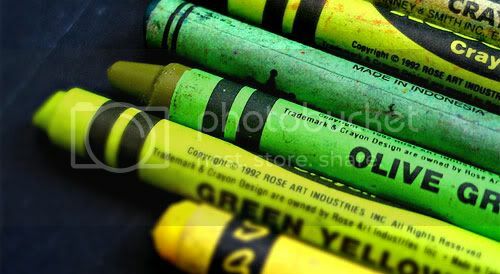 The name Crayola was coined by Alice Binney, wife of company founder Edwin, and a former school teacher. She combined the words craie, which is French for chalk, and ola, for oleaginous, because crayons are made from petroleum based paraffin.